If you are an active Facebook user who wants to get seen more on this social media, you definitely should read this article. What platform comes to mind when we say “social media”? Instagram? Twitter? Maybe Pinterest? No, there is only one social media that has a bigger number of followers – Facebook. People enjoy it because there they are able to chat with friends, sale goods and services, meet interesting persons who could become their future partners. We must point that Facebook gives it`s users a huge number of abilities and ideas they could realize. However, sometimes people can`t follow their plan because no one see their posts in the news feed or they just have followers who ignore it in while scrolling down the news feed. And sometimes it could be a serious problem, because with the number of views developers could lose potential customers. In this article, we will tell you about simple tips that can help you to reach the huge number of views on Facebook. Tell your subscribers to see you in the news feed first. It may sound strange, because a bigger amount of all Facebook users don`t focus on the specific sort of content while scrolling down the news feed – they look on everything that comes. However, if you really want to start moving from the dead point, this tip is just for you. How to draw their attention? Just put a small phrase to a post`s description. In could be formed like “Don`t miss the latest update on my blog`s page. You can`t miss it”. The key is in using non-standard phrases that motivate people to do something. To make this method more effective, you can add a screenshot from your article or post or something that could draw customer`s attention. Mix the types of content you generate. Post something unusual. 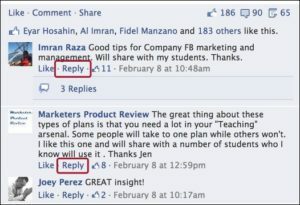 You can`t have many Facebook views by posting simple content that gives people information they already know. Even if you are working with the business account, you should understand that businesspersons couldn`t work for the whole time without rest. To give them an ability to relax and get away from the routine, you can add some unusual posts to your page. It could be some tools or hacks that could be used in your sphere of business. It could even be the list of soundtracks, which people are able to use during the working process. Unusual content? Yes! People who are always reading simple articles need something that will differ from their usual content. And you can give it to them. Here we are not talking about posting. Social media activity must be carried out in different ways. For example, you can comment other developer`s posts or answer to your subscriber`s comments. People see every action that you do to their posts or their Facebook page. As a result, they pay attention to your account and visit it to see what you have. Reply to your tagged mentions. You know that Facebook pages can`t participate on personal profiles. Well they can, if they are specifically mentioned or tagged in public posts. So, keep an eye on your page mentions. If your page is mentioned by someone, be sure to get in there with your page and continue the discussion. Don`t ignore such moments. To start doing this, you should switch over to using Facebook as your page. On the of the updates, click on the notification about the mention. This action will take you to the notification dashboard where you are able to reply to every mention you receive to your page. Even on public posts from personal profiles – as your page. After doing that, you comment will appear on a personal profile wall. Unfortunately, you can`t do the same thing to groups (although some page owners have said that it is possible). You will get notified that you have been tagged in a post in a public group, but you will have to use your personal profile to respond. With this, we are moving to the next point of increasing Facebook views. You can`t expect the average, non-marketer to know what they can – and should – tag businesses in their posts. So, you must teach them how to do it. Create a casual page post to let your fans know that when they mention you to their Facebook friends in a public post, they should add a @ Your Business Name. With such feature, there is a high possibility that a lot of people will pay attention to your page, visit it and read your posts. The mission is completed, because the number of Facebook sees grow. Remember – the more times your page got mentioned in someone`s post, the more views you get. The progress is moving very fast, so we must be ready to use new features. Why? Because they could help us to achieve our target! 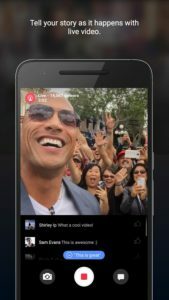 For example, let`s have a look on Facebook Live. Great streaming tool that allows us to make live broadcasts for our Facebook fans. 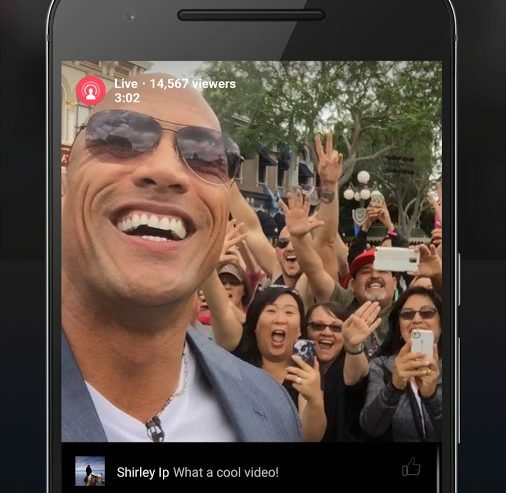 People who are watching your broadcast are able to react on by sending messages that you could see. With this ability, you can make the real process of chatting with your fans. You can ask whether they enjoyed the content you post or not. We hope that the problem of post views is only on Facebook, not on other platforms. If so, we can recommend you to use other social media to promote your Facebook posts. Twitter, Instagram, Pinterest, LinkedIn. If people there enjoy your content, you can add a few advertising posts with a link to your Facebook page. You can be sure that they will visit it. 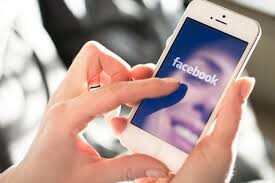 Here we have a list of our own tips that will help you to get seen more on Facebook. We know that there are many other methods, but in our opinion, they could take much time to perform and you wouldn`t like to use them more than once. So, we hope you enjoyed the article and will use these tips while working with your Facebook page.